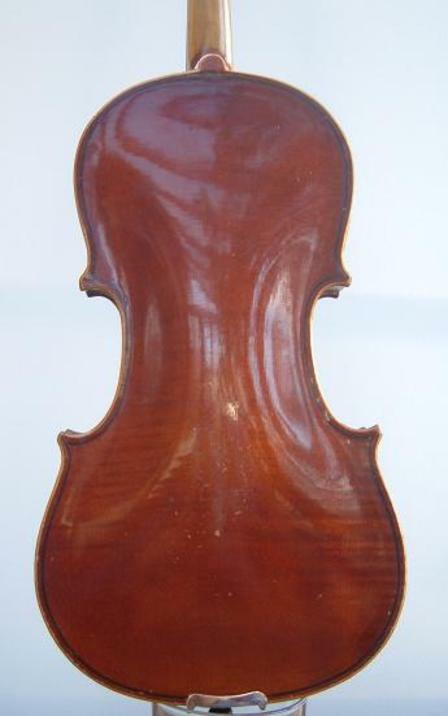 German student violin, mid 20th century. Labelled GPS Germany. 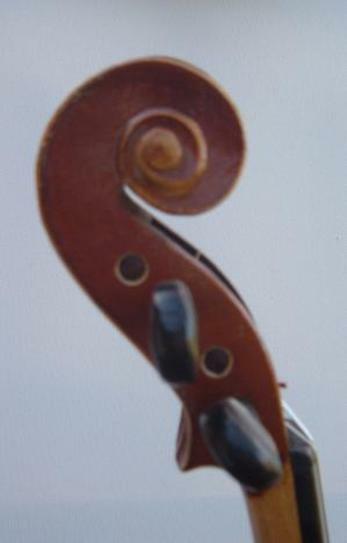 Two-piece maple back, lightly flamed. Clear tone. Very sweet E.
Condition: Some varnish scratches and dings, but overall very clean. Set up with Helicore strings and Wittner tailpiece.